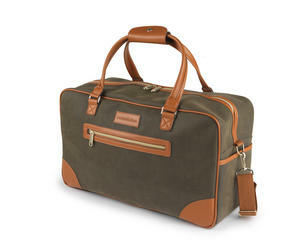 With gorgeous British design, Constellation create unique and practical luggage that you can rely on. Leave the stress of the week behind you, pack a bag and enjoy a weekend city break with culture, rest and relaxation. 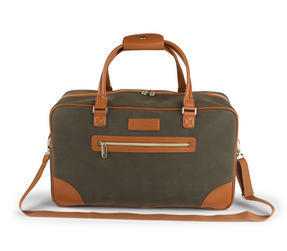 Made from luxurious suedette, this stylish carry holdall is the ideal travel companion, whether by car, train or aeroplane. 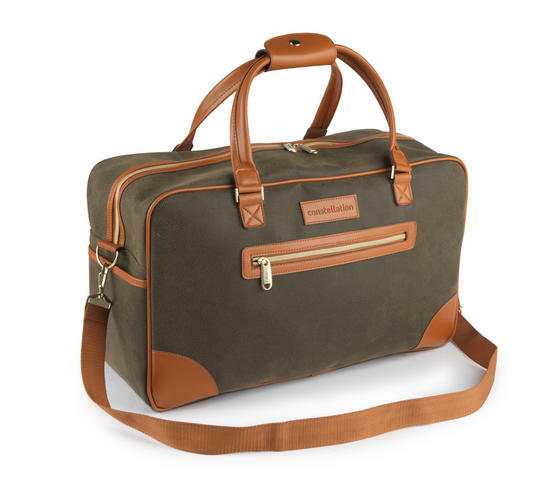 Fully lined, featuring an inside pocket and a secure zip fastening, you can feel confident that your belongings are safe whilst you unwind on the journey. Measuring 50 x 30 x 20 cm with a fantastic capacity, you can easily pack all the essentials you need for a fabulous weekend getaway. The strong handles and adjustable shoulder strap are designed with comfort in mind, so you can lift and carry the holdall conveniently. It also features a faux satin interior lining with a lovely printed design, whilst the exterior has a pebble textured suedette finish. 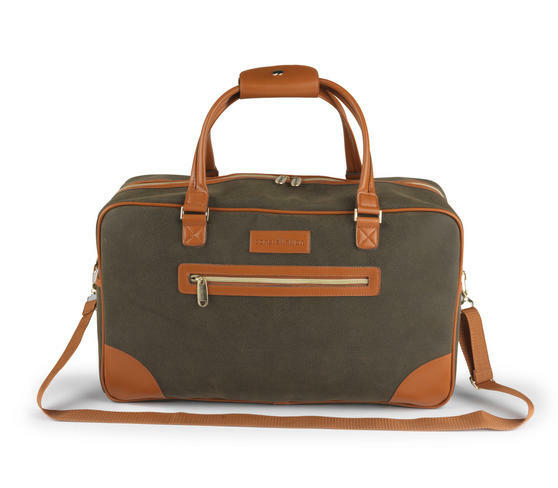 Made with smart tailoring and a faux leather trim, you can prepare for a wonderful trip by arriving at your destination in style.